Dogs have remained the best and most loyal friends of human since the early civilization. Dogs may vary on shapes and sizes depending on their breed. Owning a dog can be really fun and immensely rewarding. They play with the owner and family, guard the house, protect the owner, herd cattle, pull loads, aid disabled people and helpful in rescue operations and military service. They are a great companion and can be really nice with children. Studies have suggested the dog owners are less likely to suffer from stress and depression. However, dogs need proper training and frequent socialization. If not trained correctly and not well-behaved, they can become aggressive. Some countries have enacted breed-specific legislation on certain breeds of dogs banning or restricting them due to their aggressive and unpredictable behavior resulting from poor ownership and incorrect training—having caused a number of lethal attacks and fatalities. Here are some dog breeds banned and restricted in some of the countries around the world. A list of banned dogs by countries has also been given in the end. American Pit Bull Terrier is a medium-sized, solidly-built, intelligent dog whose ancestors came from the British Isles. Male Pit Bull Terriers are normally about 18-21 inches (45–53 cm) in height and around 35-60 pounds (15–27 kg) in weight. Females are normally around 17-20 inches (43–50 cm) tall and weigh 30-50 pounds (13–22 kg). American Pit Bull Terrier is banned in twelve countries in Europe, Australia, Canada, Ecuador, Malaysia, New Zealand, Puerto Rico, Singapore and Venezuela—the ban ranging from outright bans to restrictions and conditions on ownership—chiefly due to their unpredictable and aggressive nature toward the human, making the breed highly undesirable. According to a study conducted to examine the dog-bite related fatalities by United States Centers for Disease Control and Prevention, dog attacks resulted in more than 300 human dog bite-related fatalities in the United States from 1979 through 1996. 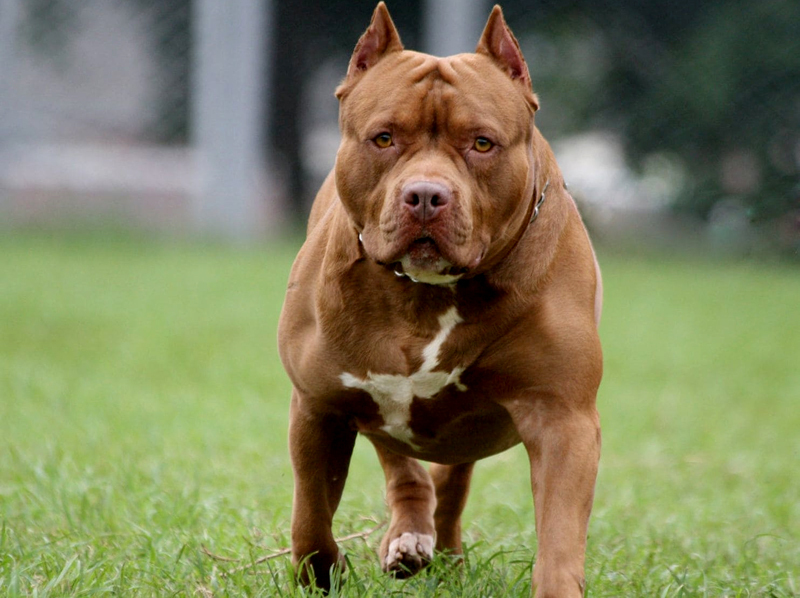 The study showed that pit bull-type dogs were responsible for approximately a third of human dog-bite related fatalities during the 12-year period from 1981 through 1992. Also, Rottweilers were responsible for about half of human dog-bite related fatalities reported during the 4 years from 1993 through 1996. Given its ferocious nature and the statistical evidence, American Pit Bull Terrier is considered the most dangerous dog breed. This breed needs frequent training and socialization. This breed is not for those who are reluctant to invest time in training and socialization and cannot provide consistent firm guidance. On the positive side, if trained and socialized properly, Pit Bull Terrier makes wonder companion for children. They are loyal friends and can protect the family to death. They are also friendly with strangers. 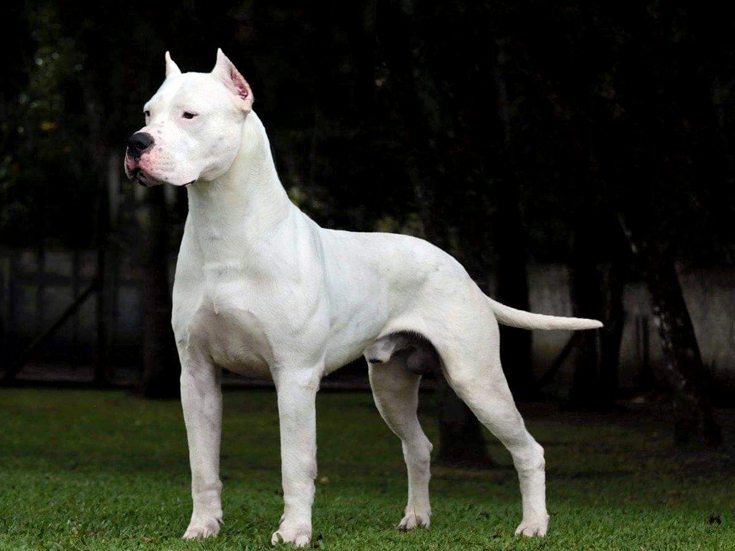 Dogo Argentino is a large, white muscular breed primarily developed in Argentina in 1928 for the purpose of hunting large animals like wild boar and puma. They are intelligent, courageous, powerful and loyal. Trained Dogos are also used for search and rescue, police assistance, service dogs, a guide for the blind, competitive obedience, Schutzhund and military work. Normally, a male Dogo is 60-68 centimeters (24-27 inches) in height and weighs 40-45 kilograms (88-99 pounds) while a female is 60–65 centimeters (24–26 inches) and weighs 40–43 kilograms (88–95 pounds). Dogos are considered very social and are happiest when included in all family activities. However, they are notorious for their unsteady temperament and aggressiveness if not trained correctly. They have a high prey drive and distrust toward strangers and other animals. They need a lot of physical activity and mental stimulation and patient training. Otherwise, they can become bored and destructive. Their attack can have lethal consequences. Only an experienced owner can handle a Dogo correctly. Countries like Australia, the Cayman Islands, Denmark, Fiji, Iceland, New Zealand, Singapore, Turkey, and Ukraine have enacted breed-specific legislation imposing a restriction on Dogo Argentino. In the United Kingdom, it is illegal to own a Dogo without lawful authority under the Dangerous Dogs Act 1991. Japanese Tosa, also known as Tosa Ken, is an intelligent, watchful, large and powerful dogs, generally weighing from 100 to 200 pounds (Japanese breeds weigh between 36 to 61 kilograms (80 and 135 lb) and the non-Japanese breeds from 60 to 90 kg (130 to 200 lb)),and standing at 62 to 82 centimeters (24 to 32 inch) at withers. Tosa, a rare breed, was originally bred in Tosa, Shikoku of Japan as a fighting dog—for taking part in highly ritualized but silent combat. They are also considered equivalent of Japan’s sumo wrestlers and are the only breeds still used legally in Japanese dog fighting. Tosa breeds are undesirable for their aggression and destructive behavior when chained out in the yard or given little or no attention at all since they need a lot of socialization. It is therefore, Tosa owners are always recommended to begin training as soon as they adopt a Tosa puppy–frequently engaging them in socializing throughout their lives. Though they are not aggressive toward people, they can be aloof toward strangers. A Tosa, when bored, is likely to show destructive behavior. Due to its size and strength, the Tosa attacks are fatal. Due to its aggression and dangerous nature, Japanese Tosa is banned in Australia, Denmark, Fiji, Iceland, Republic of Ireland, Malaysia, Malta, New Zealand, Norway, Singapore, Tunisia, United Kingdom, Romania and Germany. 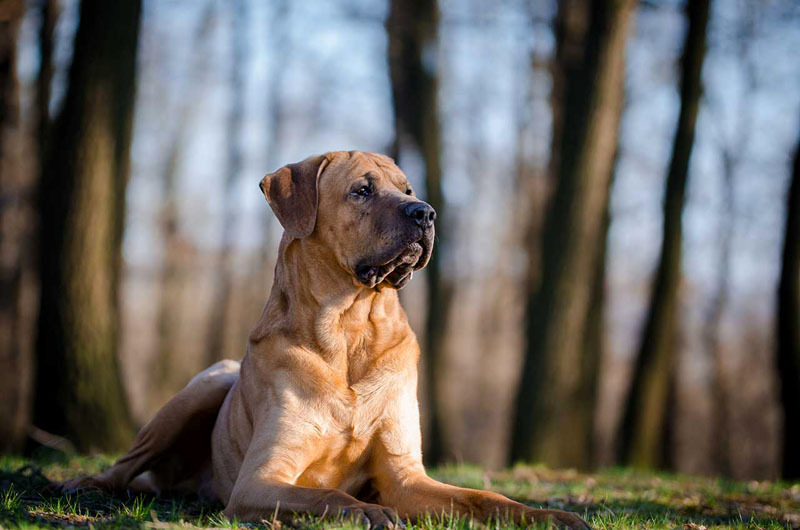 Fila Brasileiro, also known as Brazilian Mastiff, is a large breed of working and guard dog developed in Brazil. It is known for its superb tracking ability, aggressiveness and an unforgiving, impetuous temperament with a massive head, heavy rectangular body, and brindle or fawn coat—standing between 65-75 centimeters (25.5 inches to 29.5 inches) at the withers and weighing between 50 to 82 kilograms (110 to 181 lb). Females are normally between 60 to 70 cm (23.5 inches to 27.5 inches) tall at the withers and weigh at least 41 kg (90 lbs). Fila breed was used to return the fugitive slaves unharmed to their masters when slavery was legal in Brazil in the 18th century. This breed is well known for its protective and aggressive nature. They are extremely suspicious of strangers and agile when protecting or defending their master. They are not good with strangers when left unattended. It is, therefore, the breed is not an appropriate choice for the owners who have frequent visitors. They also need proper training and frequent socialization. Due to its aggressiveness, Fila breed is listed as the seventh most dangerous dogs in the world and is banned in 16 countries. They are banned in Australia, New Zealand, Trinidad & Tobago, Fiji, the United Kingdom, Norway, Malta, Cyprus, Spain, Italy, Israel, Turkey, the United States, Bermuda Islands, Portugal and Singapore. 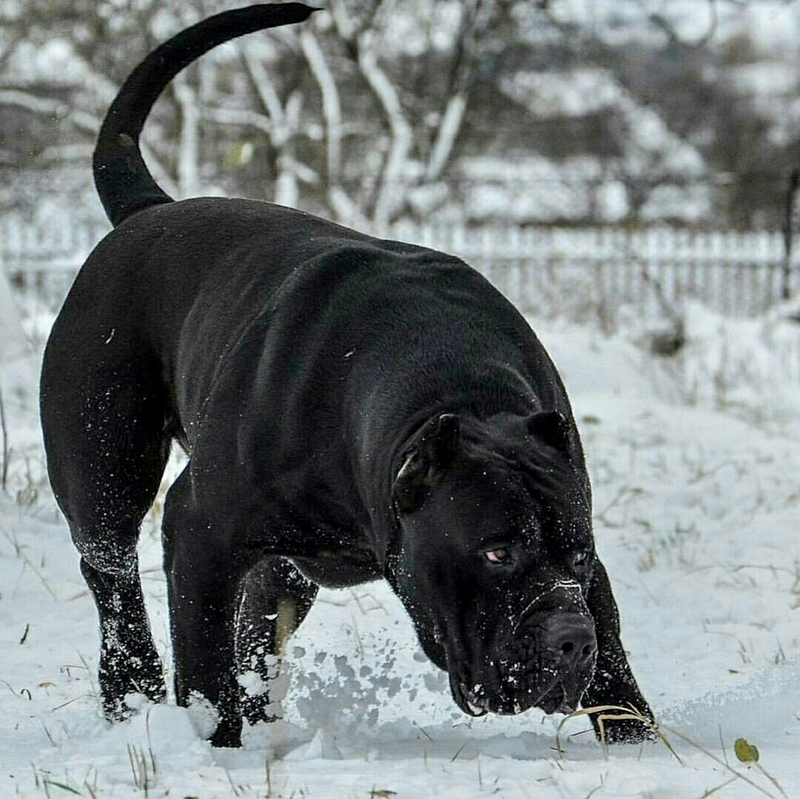 Perro de Presa Canario, also known as Canary Mastiff, is a large-size dog with a thick and muscular body weighing from 45 kg (100 pounds) to 73 kg (160 pounds) and standing at 23 to 26 inches (58 to 66 cm) at the withers. They were originally used for guarding farms and working cattle and killing wild and strange dogs. Since they are aggressive toward strange dogs, Presa Canarios are recommended to be kept away from other pets and neighboring dogs. Presa Canario breeds are very loyal to their owners but are suspicious of strangers. When alert, their stance is firm and vigilant. They are intelligent and headstrong. They also make excellent swimmer. Like other dog breeds, a Presa Canario needs early socialization and proper training–done with patience, constituent firmness and guidance. If not trained properly, and when in the wrong hands, they can be dangerous. In 2001 January, a woman named Diane Alexis Whipple was attacked and killed by two Presa Canarios– a male named Bane and a female named Hera– in San Francisco as the caretakers of the dogs stood watching. Whipple, who was returning home from a grocery store, suffered a total of 77 wounds except for her scalp and bottoms of her feet. She died hours after the attack from loss of blood from multiple traumatic injuries while undergoing treatment at San Francisco General Hospital. Bane was euthanized immediately after the attack and Hera was seized and later euthanized in January 2002. 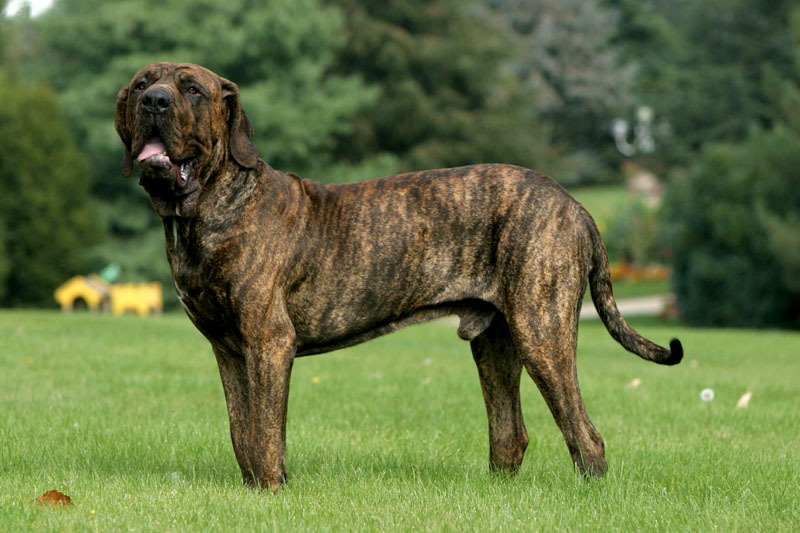 Presa Canario breed is banned in Australia and New Zealand. Restricted: Akita, Australian Cattle Dog, Belgian Malinois, Bouvier Des Flandres, Bull Terrier, Bullmastiff, Chow Chow, Doberman Pinscher, Dogue De Bordeaux, German Shepherd, English Mastiff, Rhodesian Ridgeback, Rottweiler, Staffordshire Bull Terrier, and any cross of these. 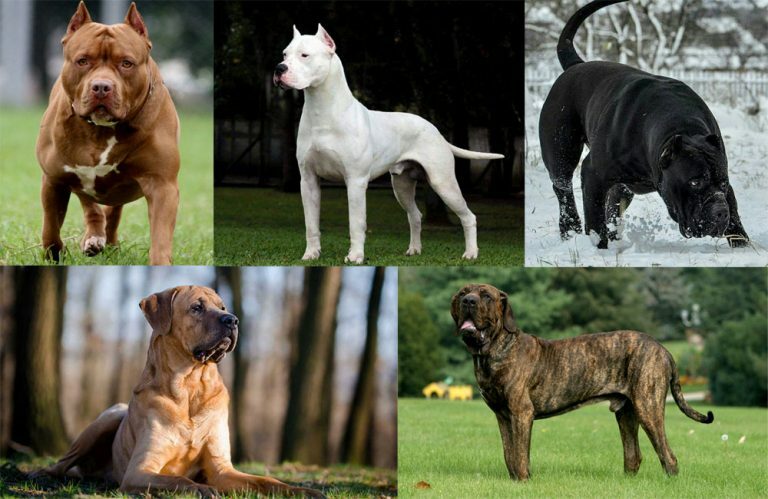 Staffordshire Bull Terriers, Argentine Dogo, American Staffordshire Terriers, American Pitbull Terriers and crossbreeds of these and other terrier strains. Bull Terriers, Bulldogs, Livestock Guardian dogs, Boxer, Briard, Labrador Retriever, Welsh Terrier, German Shepherd and their mixes. Akbash, APBT, Presa Canario, Kangal, Romanian Shepherd, Greek Shepherd, Alek Roshhin Doberman, Superdog and Superdog Mainkong mixes and 18 other recognized and unrecognized breeds.